Amtec Consultants provide corrosion specialists and experts, together with paint specialists and experts with a large number of years experience in dealing with corrosion failures & coatings problems across a broard range of industries. Our client base includes many multinational companies but also extends down to small companies & even individuals. 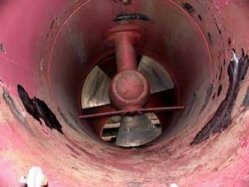 Specialising in both marine corrosion and industrial corrosion, together with marine coatings and industrial coatings problems. 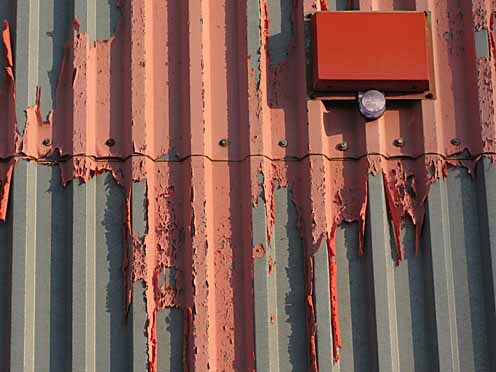 We have been operating in areas requiring expertise in rust and paint since 1968. 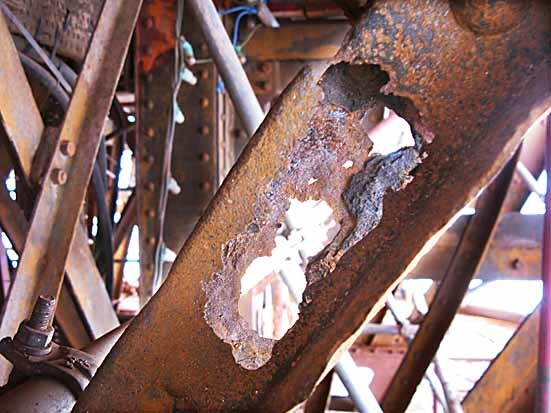 Amtec consultants have been involved as expert witnesses in many corrosion & coatings related claims. We are experienced in dealing with legal cases & disputes involving arbitration & the courts. We offer free initial advice either by telephone or by e-mail. If the job develops further then we would charge an hourly or daily rate exclusive of travel costs. Work carried out by our associates at other laboratories would be carried out only after pre-agreement over projected costs. Coatings problems associated with failures and breakdown such as blistering & bubbling, paint flaking, disbondment and accelerated rusting can be tackled by our paint experts on a world-wide basis. Our experts are usually available on a 24/7 standby, so Corrosion Consultants and Coatings Consultants can usually travel on very short notice. Claims resulting from all types of premature coatings failures can be followed through the legal system as far as arbitration & court appearance via our expert witness service. Coatings problems associated with structural & architectural steelwork in the building and construction industries are also major work areas. Premature corrosion failures, problem solving & trouble shooting involving Stainless Steels, Galvanised steel, Low Alloy steels, Copper Alloys (Cupro Nickels, Brasses, Bronzes etc.) and Aluminium Alloys in marine and industrial environments are routine business areas. Failures due to the interaction of impressed current cathodic protection (ICCP) systems, sacrificial anodes or stray AC currents are also a focus area. The Amtec Library contains many guides including details of Copper & Copper Alloy Corrosion, Aluminium Alloy Corrosion & Stainless Steel corrosion. Dr Lomas has been working on the refurbishment of Blackpool Tower in conjunction with MPNNW Ltd & also various issues concerned with the longevity of naval vessels in conjunction with BMT Ltd. She is also involved with contractor selection & quality contol issues with a number of building refurbishment projects including the refurbishment of the headquarters of a major multinational company. Dr Callow has been involved in a number of arbitrations involving low temperature hot water systems (LTHW), vehicle corrosion together with problem solving corrosion issues involving stainless steel, Aluminium alloys & copper pipework. Previously he was intimately involved in the new IMO PSPC coatings regulations for ballast tank coatings & can offer both training courses & advice on its application to shipbuilding coating specifications together with the implementation of the regulations in new building shipyards. A brief reference library is included in this site as an indication of some of our published work. 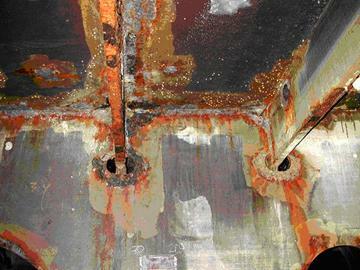 Amtec consultants provide corrosion expertise in the field of metallic corrosion. There are a series of guides on our website dealing with a number of Corrosion & Coating Breakdown topics. Other pages are focused on areas such as marine corrosion, industrial corrosion, corrosion in hot water & heating systems. 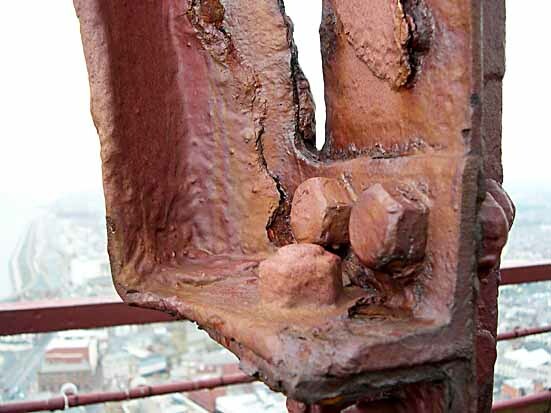 Other guides deal with aluminium corrosion, copper corrosion & stainless steel corrosion.